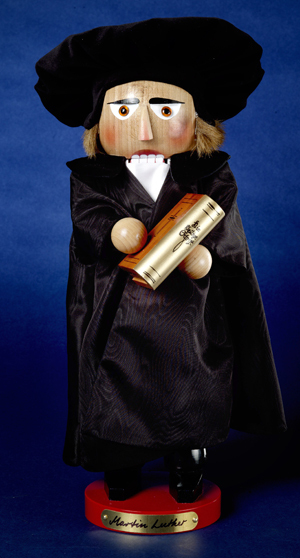 Dressed in his official black robe, this Martin Luther (ES1657) nutcracker stands at 17 inches tall. In his hands Martin Luther holds a golden Bible. 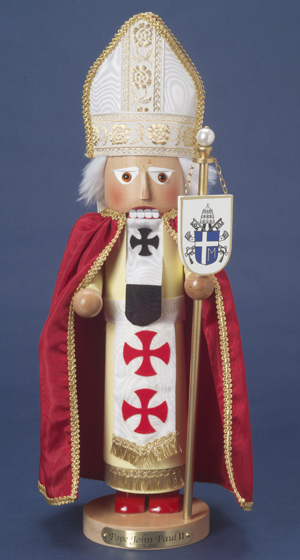 The Pope John Paul II (ES1658) nutcracker wears a silky red cape and a white and gold mitre. Standing at 19 inches tall this nutcracker is a piece of history. 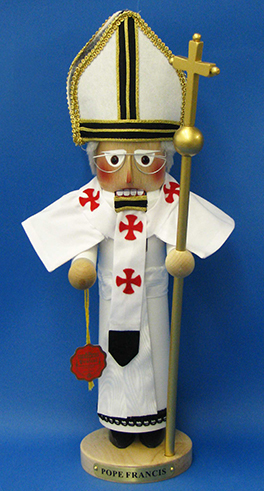 Standing strong at 19 inches, the Pope Benedict XVI (ES1659) nutcracker is adorned from head to toe in white and gold. 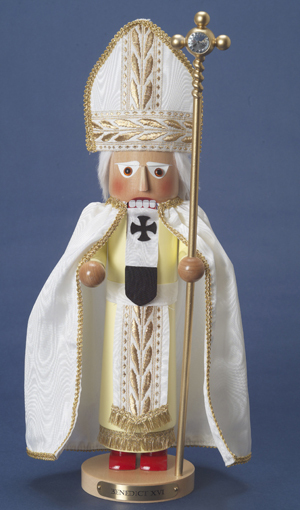 This Kurt Adler 19" Steinbach Pope Francis Nutcracker is a beautiful way to commemorate the 266th Pope of the Catholic Church. Pope Francis is depicted here wearing his usual simple white vestment, his white, black, and gold mitre, and silver eyeglasses. He is holding a tall, golden crucifix. Like all of Steinbach's creations, this nutcracker is crafted in Germany with the greatest care and attention to detail.